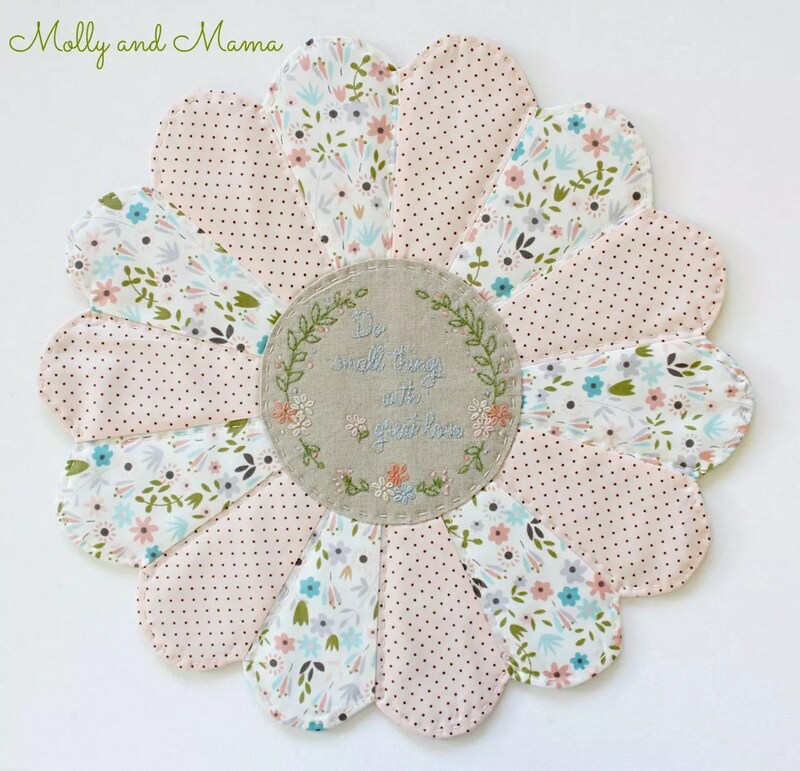 Earlier this year I brought you a round up of pretty projects I had sewn in February and March. And I also shared a wrap up of January’s making too. I love the idea of being able to share what’s been happening in my sewing space. So here’s a little preview into a few of the pretty pieces that were stitched in April and May. I’ve been running a local pin cushion swap, which I love. 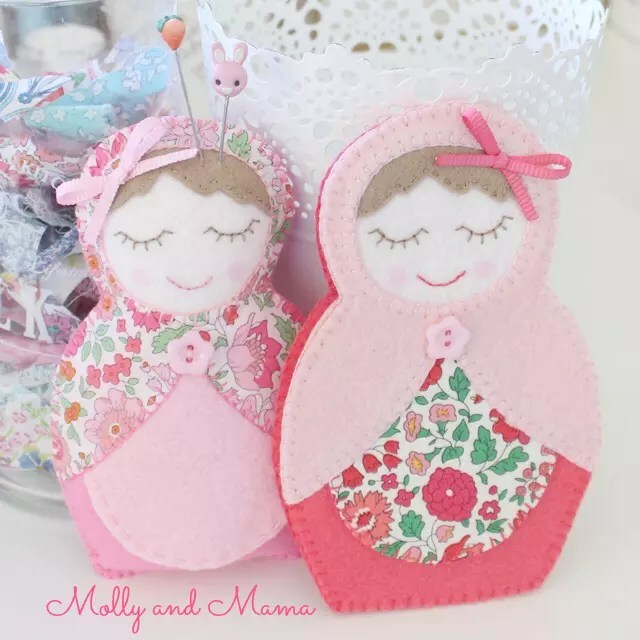 I wanted to make something combining both Liberty and felt, so I decided to use the Betty Babushka applique pattern as inspiration, and make both a pin cushion and a needle book. I really love how they turned out. I hope they’re well loved by the recipient! And I can’t wait to show you what everyone else made. I recently joined some super talented and creative people for a four week art course at Shiny Happy Art. Anna’s a wonderful teacher, and I had so much fun. 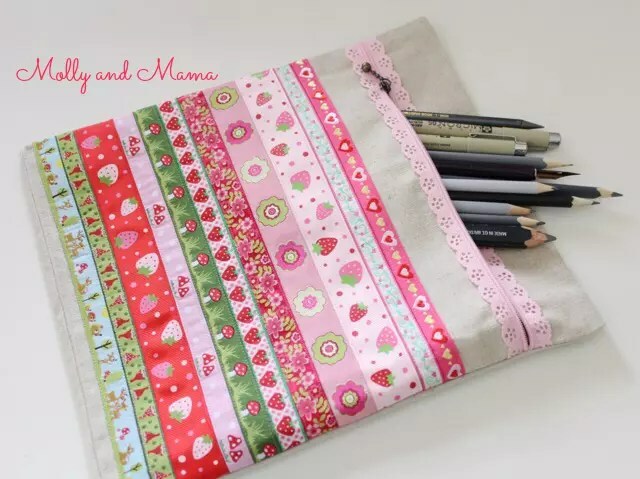 We received so many wonderful supplies I just had to sew a pencil case for everything. I had wanted to use those pretty lace zippers that I keep seeing everywhere, so I picked one up at my favourite local quilting store The Quilter’s Angel, and paired it with some natural linen. I have a lovely collection of pretty braids and had always wanted to make something with them. So I decided to sew them in rows across my linen to create a beautiful striped effect. However, this project was just one of those pieces that did not want to sew up nicely. You know how that sometimes happens? Frustrating! But I got there in the end and it came out even prettier than I’d hoped. 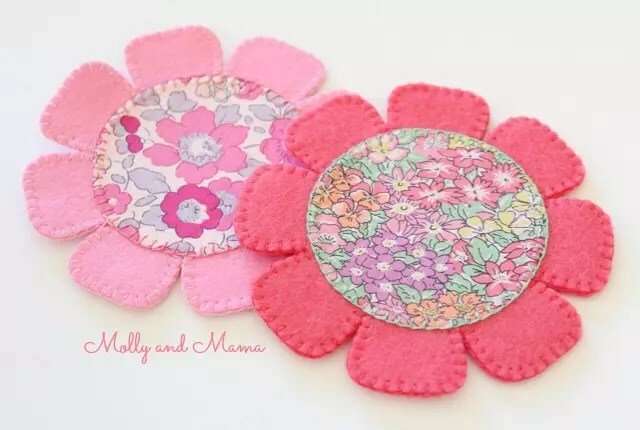 I also whipped up some pretty felt coasters with some stunning Liberty fabric that was gifted to me by the lovely Martina at Ava and Neve. I can’t wait to share a tutorial for these very soon! 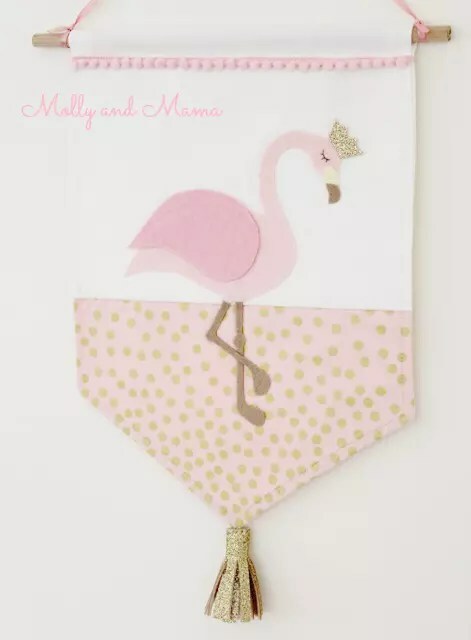 This beautiful wall banner was a fun sew for my niece Lucy’s 1st birthday. She’s having a Flamingo themed party and her mum is a fan of all things tropical. I thought this was a delicate way of adding some tropical fun to Lucy’s girly bedroom. I’m in love with the gold glitter accents. The glitter felt was purchased at Rose Petal Collections. Candice has a wonderful range! It was so nice to finally finish the Pretty Penny Coin Purse pattern! 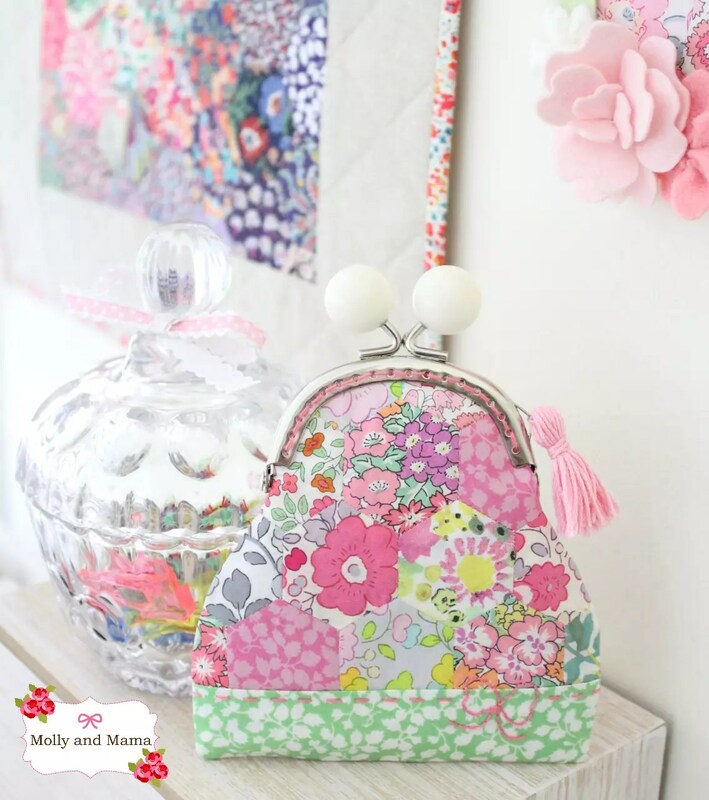 Ava and Neve provided me with all the supplies to create a pattern for this bobble clasp hexie purse. I just love how it turned out! You can read more and get the free PDF pattern HERE. Ava and Neve have the little clasps available on their website and are selling kits too! I also finally finished a trivet that was inspired by Nana Company. The embroidery in the centre is a free pattern of Amy’s. You can find it on her blog. I lamented my choice of embroidery floss colour for the text. It just doesn’t stand out enough. But you live and learn, right? My mum still loved it! There has also been a lot of small project sewing going on in my studio. However, these pieces are for a super special and secret project. I cannot WAIT to share the news with you and show you more. But unfortunately, you’ll all have to wait just a little longer. 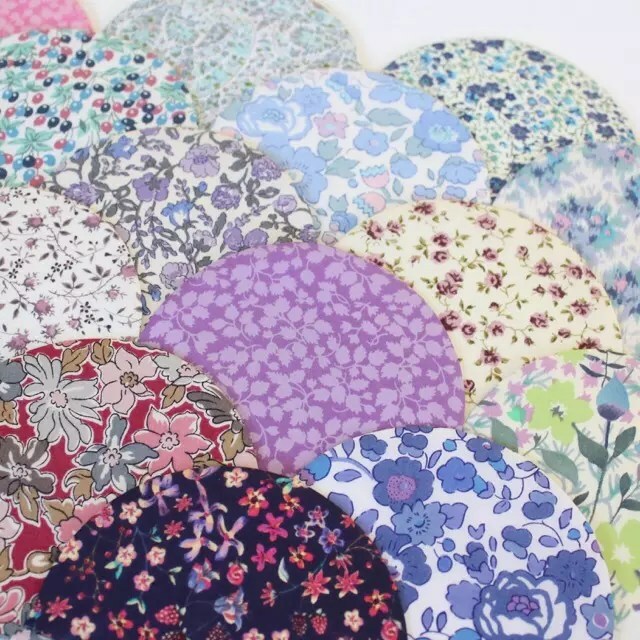 Rest assured though, that there’s going to be lots of Liberty Art Fabric. 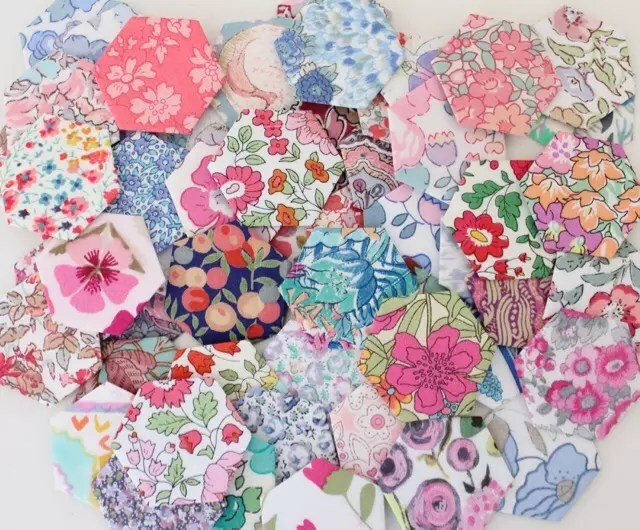 There’ll also be lots of hexies! 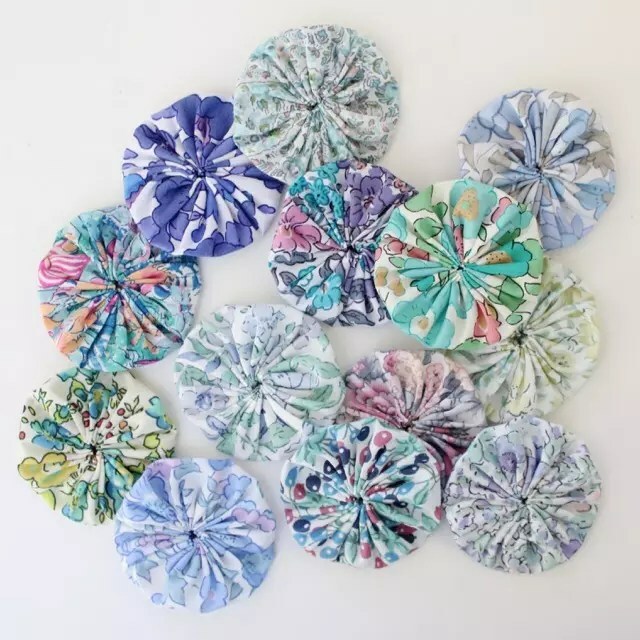 You can count on finding out more about English Paper Piecing and sewing clam shells. And there’s also some projects using these beautiful Liberty yoyo’s. You may also know them as Suffolk puffs. If you haven’t tried them before, they’re a great scrap busting project. And I have written an easy tutorial for making them. Just pop over to THIS POST. I can’t wait to bring you more next month, and share some new patterns and other projects. If you’d like to see sneak peeks, be sure to follow me on Instagram. I always post there first.